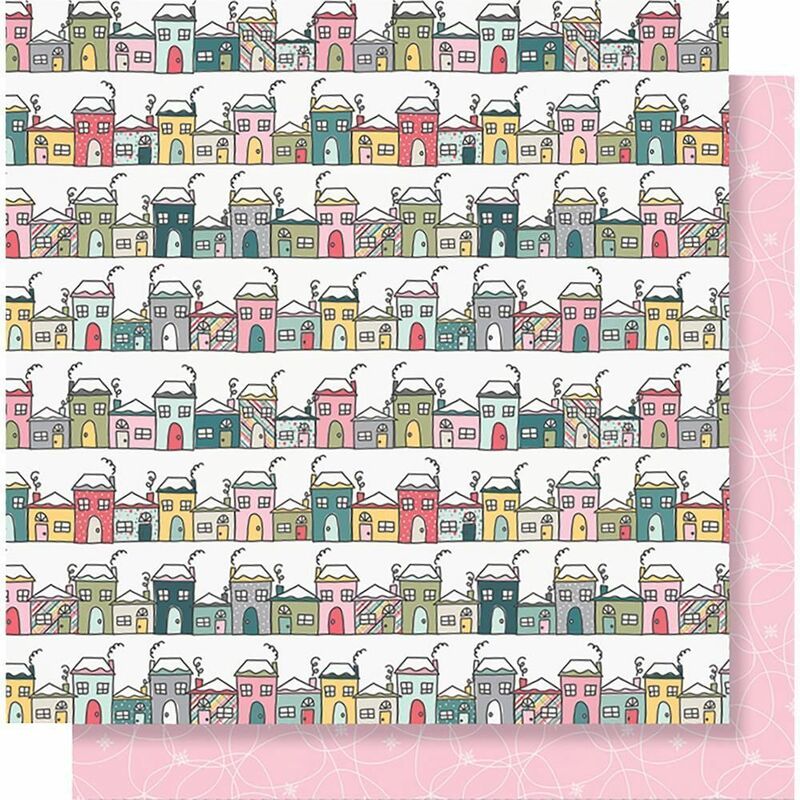 This 12x12 double sided paper has rows of Colorful Homes on the frontside while the reverse side has Pink Background with Snowflakes. Part of the Freezin' Season Collection by Simple Stories. Look for coordination Designer Papers, selected Embellishments and the Freezin' Season Collectors Essential Kit.